We are happy to announce the release of OverLAPS 1.2. 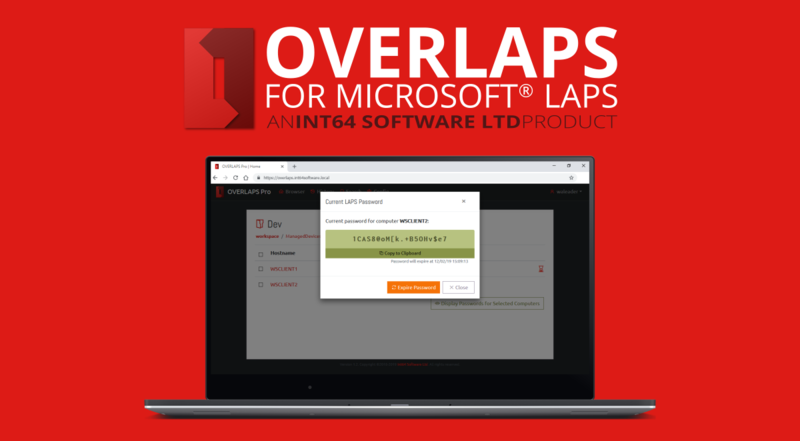 This latest update for our web interface to Microsoft’s Local Administrator Password Solution (LAPS) features a complete overhaul of its UI and brings a chunk of new features. Continue reading to see how this update can improve your experience within your LAPS managed Active Directory environment. OVERLAPS now has a free demo version available for you to try-before-you-buy. The demo is feature-limited, rather than time-limited, but is perfect for checking that it works with your LAPS/Active Directory environment. We’ve updated our frontend frameworks and overhauled the entire OverLAPS interface. Say goodbye to the basic-and-functional and hello to the new-and-improved look. As we want all of our customers to get the same great experience, we’ve taken steps to improve accessibility by following A11Y standards to produce a cleaner, more easily readable interface, with important keyboard navigation options. Our most requested new feature, you can now quickly and easily search for computers by name or description instead of having to browse through Active Directory for them, saving you time and effort when looking up passwords. If you need to get the current passwords for multiple computers at once you don’t need to select each of them one-by-one anymore, now you can click a button and get all of their passwords in one quick operation. We’ve taken the most common OverLAPS settings and made them available to change through the interface itself, so no more having to mess about in XML files. The updated installed will appear in the download section for existing customers from today. New customer? No problem. Just head over to the OverLAPS website and place your order today. You may notice that the website still refers to, and uses screenshots from, version 1.0. This will be updated in the coming weeks to reflect the new OverLAPS user interface. In addition to this, we are currently working on making a demonstration version of OverLAPS available for those that want to try out the interface for themselves before buying. This version will operate as so-called “disableware” where certain core features will be non-functional for the purposes of the trial. If you’d like to hear more, make sure to subscribe to this feed or follow us on Twitter.